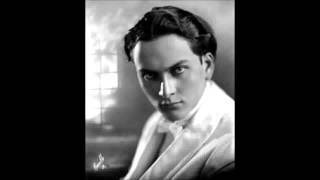 Manly P. Hall was born 1901 in Peterborough in Ontario Canada and in 1923 Hall moved to Los Angeles, California. In that year he was ordained to the Church of the People and published his first of over 150 works, The Lost Keys Of Freemasonry. Later in 1928, at the age of 27 years, he published The Secret Teachings of All Ages: An Encyclopedic Outline of Masonic, Hermetic, Qabbalistic and Rosicrucian Symbolical Philosophy. It is claimed that Hall was made a knight patron of the Masonic Research Group of San Francisco in 1953, although he was not raised as a Mason until 22 November 1954 into Jewel Lodge No. 374 , San Francisco. He later received his 32° in the Valley of San Francisco AASR .On December 8, 1973 (47 years after writing The Secret Teachings of All Ages), Hall was recognized as a 33° Mason (the highest honor conferred by the Supreme Council of the Scottish Rite) at a ceremony held at the Philosophical Research Society (PRS). The definitive Manly Palmer Hall Archive states that Hall received the 33°, “despite never being initiated into the physical craft. Well enjoy this lecture. It is quite lenghty. Here is THE SAME LECTURE broken down in 10 parts.